Napier suffered a large earthquake in 1931 which destroyed most of the town and created a whole new piece of land as the rocks were pushed up out of the sea. The town had to be rebuilt from scratch and it was all done in the style of the time - Art Deco. 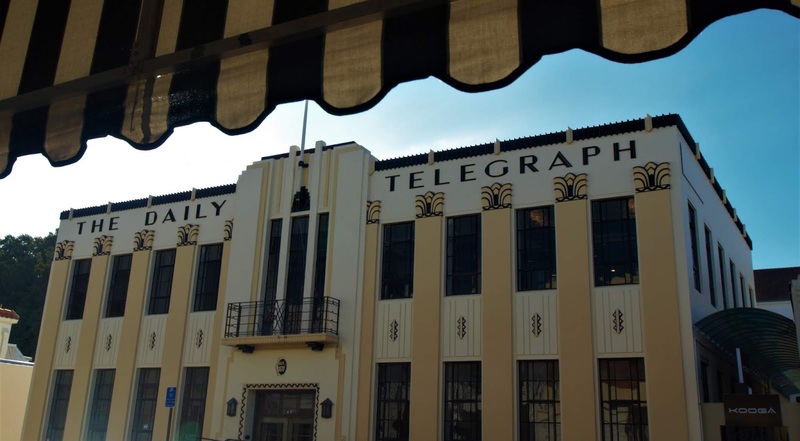 This makes it quite different to the places we've seen so far - Devonport had some pretty Edwardian villas and the Sky tower in Auckland was interesting to look at but the rest of what we've seen up until now has been bland mid 20th century bungalows - none of that here. 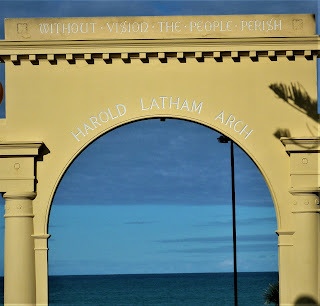 One of the first things we saw when we drove in to Napier was an arch on the promenade. 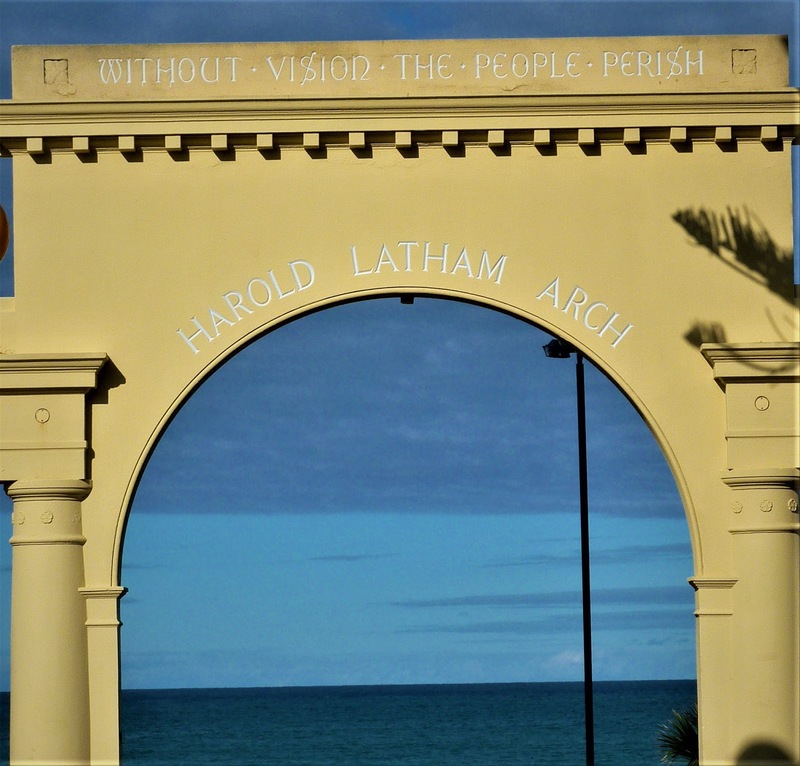 It turned out to be the Harold Latham arch, which got our Justine Latham very excited. 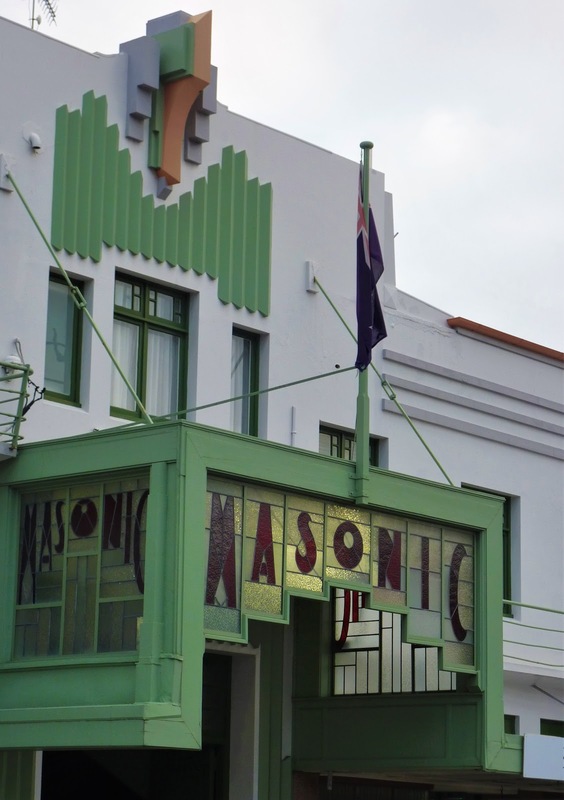 Apparently Harold was one of the men who was instrumental in rebuilding Art Deco Napier. Not sure if she's a distant relation - maybe she's 17th in line to being lady mayoress or something. That'd be nice. Jus developed a real soft spot for this town - maybe it's the potential Latham connection, the interesting architecture, or maybe it's really about the fact that Napier is in the Hawkes Bay area - famous for it's wine.